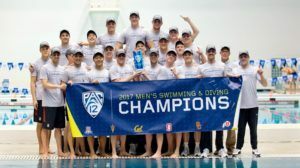 Last season at the Pac-12 Championships, we saw the Stanford Cardinal rise to the top of the podium. This season, they return to defend their title with a highly talented freshman class that includes Grant Shoults and True Sweetser. Stanford is one of the best teams in the country this year, but they’ll be battling a tough Cal team that also ranks among the best of the best. After missing the Pac-12 meet last season in favor of a long course meet, Ryan Murphy will return to the conference stage for the Bears. They’ve also got a fresh group of talent that includes Michael Jensen, Pawel Sendyk, ‘Aukai Lileikis, and transfer Matt Josa. The USC Trojans are also bringing back some familiar faces, as All-Americans Dylan Carter and Santo Condorelli are back after redshirting in 2015-16. A rising Arizona State team with the likes of Cameron Craig will look to move ahead of in-state rival Arizona. Arizona: Renny Richmond (senior fly/freestyler), Chris Wieser (junior freestyler), Chatham Dobbs (sophomore backstroker), Thane Maudslien (senior backstroker/IMer), Justin Wright (junior butterflyer), Nick Thorne (junior IMer)- The Wildcats have talent all around, and Wieser should be a tough competitor in the mile this season. Arizona State: Richard Bohus (senior free/backstroker), Tadas Duskinas (senior freestyler), Barkley Perry (senior freestyler/backstroker), Christian Lorenz (junior breaststroker), Cameron Craig (freshman free/back/IMer)- Craig has been a huge asset during his first season so far, and will aim for a championship final at his first conference meet. Cal: Andrew Seliskar (sophomore fly/IMer), Long Gutierrez (senior fly/freestyler), Ryan Murphy (senior backstroker), Justin Lynch (junior fly/freestyler), Matt Josa (transfer junior fly/backstroker)- After missing the conference meet in favor of long course competition last season, Murphy returns to the Pac-12 stage as a senior looking to win back his backstroke titles. 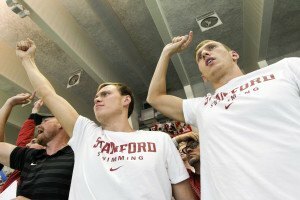 Stanford: Sam Perry (junior freestyler), Grant Shoults (freshman freestyler), True Sweetser (freshman freestyler), Abrahm DeVine (sophomore fly/IMer), Liam Egan (junior freestyler)- The Stanford distance group should bring in huge points this season between Egan, Sweetser, and Shoults. USC: Ralf Tribuntsov (junior backstroker), Reed Malone (senior freestyler), Carsten Vissering (sophomore breaststroker), Dylan Carter (redshirt junior fly/freestyler), Santo Condorelli (redshirt junior fly/freestyler)- The return of Carter and Condorelli after a redshirt season in 2015-16 bodes well for the Trojans. Utah: Daniel McArthur (sophomore backstroker), Jack Burton (junior breaststroker), Cole Avery (sophomore back/IMer)- Avery is the team’s top returning scorer after scoring in all 3 of his individual races as a freshman in 2016. 500 FREE: The Stanford contingent should get huge points here, and could end up battling among teammates for the gold. This event brings a big showdown between freshman teammates Grant Shoults and True Sweetser, but Liam Egan will look to improve upon his 2nd place finish from last year. That will require him to jump his teammate, USC All-American Reed Malone, who has been relatively quiet this season, but he’s been one of the top performers in this event at NCAAs before, so he still poses a title threat. Arizona distance standout Chris Wieser will also be in the hunt. 100 FLY: This could be a great race between Cal teammates Justin Lynch and Matt Josa. USC’s Santo Condorelli broke the Canadian Record in the long course version of this race, so he could have a big swim. The Trojans’ Dylan Carter, if he chooses to swim it, will be one of the major players, but he may opt for the 200 free instead. Stanford’s Andrew Liang should also be in the mix, as he’s already gone sub-46 this season, and teammate Sam Perry has no shortage of speed. Arizona’s Chad Idensohn and Chatham Dobbs, as well as Arizona State’s Tadas Duskinas and Andrew Porter, are also medal threats. 100 BREAST: Between the 4 men who have already been 52 this season, this could be a close one. Leading the way is USC’s Carsten Vissering, but Cal’s Connor Hoppe has also been 52-low. Cal teammate Carson Sand and Arizona’s Blair Bish will also be in the mix. Other swimmers to look out for are Arizona State’s Christian Lorenz, Arizona’s William Wihanto, and Stanford’s Matt Anderson. 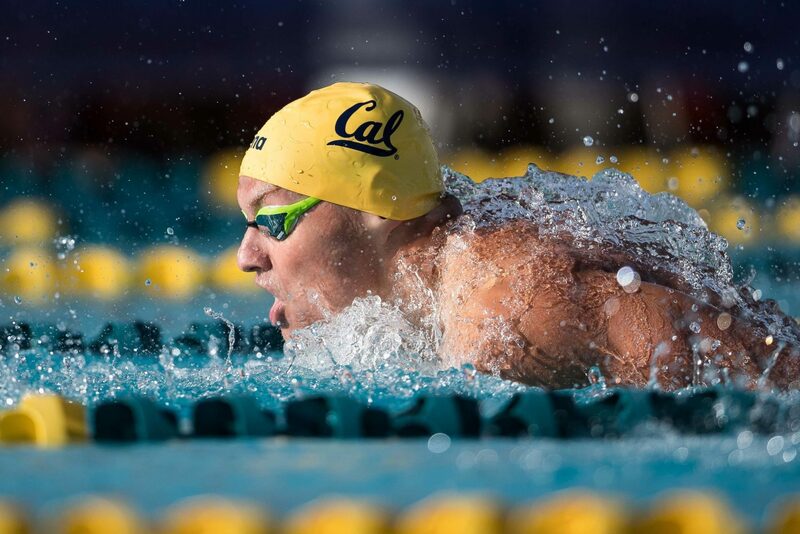 400 IM: Defending Pac-12 champ Andrew Seliskar will battle with teammate Ryan Murphy, who placed 3rd at NCAAs in this race last season, and Stanford’s Abrahm DeVine in this race. The Cardinal’s Curtis Ogren could also make waves here, along with teammate Max Williamson and Arizona’s Nick Thorne. Note: divers count as 1/2 of a roster spot in the Pac-12. Teams get 20 scorers. The team title race this season should come down to Cal and Stanford. Both teams will be looking to their freshmen to pick up big points. USC looks like they should be safe for 3rd, while it should be close between Arizona and ASU for 4th. The teams are closely matched, which led to a tie in their dual meet last month. ASU has an edge on diving heading into the swimming portion of the meet, so the Wildcats will have some ground to make up. Based on the psych sheets, the Wildcats seem to have a little more scoring depth, but that’s by no means a lock. 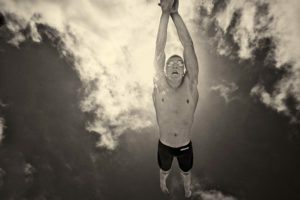 « SwimSwam Discussion: Why is College Swimming Exploding? Murphy was 3rd in 200IM at NCAAs. Dates are wrong at the top of the article. I think March 1st to 4th would be the correct dates if it’s tomorrow through Saturday.